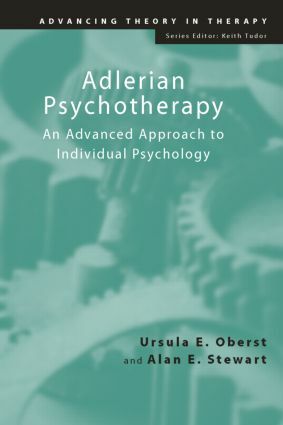 Adlerian Psychotherapy gives an account of Adlerian therapy and counselling from its origins to the present day, and proposes an advanced version of the theory. The main principles and concepts of Adler's thinking are re-examined from a contemporary perspective, placing them in the context of other contemporary approaches. Adler's techniques are described then applied to an understanding of what an Adlerian approach to family life would look like, using clinical examples throughout. The authors analyse the possible contribution of Adlerian theory in the context of the challenges of postmodern thought and postmodern society. It will be invaluable to professionals, practitioners and students of counselling and psychotherapy. Historical Context, Roots, and Early Developments. Classical Adlerian Psychology. Adlerian Counselling and Psychotherapy Today. Child Guidance and Parenting. Adlerian Family Counselling and Family Psychotherapy. Adlerian Therapy and its Relationship to other Psychotherapeutic Approaches. Adlerian Psychology - Further Developments and Relevance in a Post-Modern World. Ursula E. Oberst is Assistant Professor for Psychological Counselling and Psychology of Personality at the Ramon Llull University in Barcelona. She also works as a psychotherapist in private practice. Alan E. Stewart works as an Assistant Professor in the Community Counselling and Counselling Psychology programmes in the Department of Counselling and Human Development Services at the University of Georgia.